Size including the ball: 1" x 5/8" - includes 18" Sterling Silver chain. 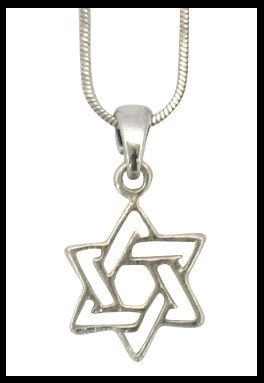 The beautiful entwined small silver star of David makes a wonderful gift for men or women of all ages. Comes gift boxed and ready for that someone special.